In case you missed last week’s 50th episode celebration, first let us say how much we appreciate you all and how much FUN we had last week! 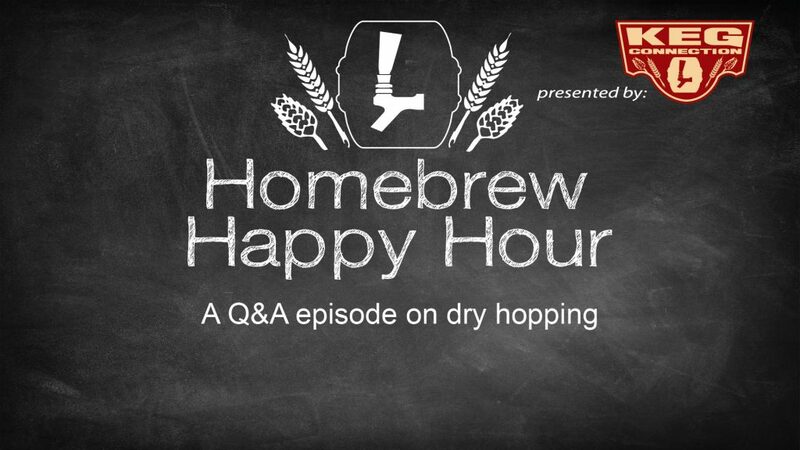 Moving forward from episode 50, today’s show is a great conversation on dry hopping. We’ve addressed some dry hopping Q’s in the past but today’s show is themed to elaborate a little bit more than we’ve done before. Also, we are officially recognizing CMBecker International’s James Carlson as our permanent 3rd co-host! You guys have left such great feedback on James and, frankly, he’s a wealth of knowledge that was bound to start his own show if we didn’t make him an offer he couldn’t refuse (spoiler alert: free beer! ).